Scotch & Soda respects the privacy of all visitors to its Website(s) and App(s) and is highly committed to maintaining the privacy of all such visitors. We will use your personal data to make sure that your orders will be handled as fast and easy as possible or that certain parts of the Website(s) or App(s) are more tailored to your interests. This statement describes how we deal with your personal data and online security. Scotch & Soda E-commerce B.V. is responsible for the processing of your personal data and acts as the data controller. If you have any questions, feedback or want to know more about how your personal data is processed, or if you want to access, correct or remove your personal data, please contact us at consumercare@scotch-soda.com. You may write to us at: Scotch & Soda E-commerce B.V., Parellaan 76, 2132 WS, Hoofddorp, the Netherlands (department web store). If you place an order on our Website(s) or App(s), we collect your name, e-mail, billing and shipment address in order to complete and deliver your order. In addition, we also offer you the possibility to store (encrypted and inaccessible) credit card details. To make your shopping experience as nice as possible we collect personal data about your orders and the use of our services. With this data we can personalize the Website(s) and App(s) and recommend products you might be interested in. We may also use this data to find patterns that can be used to further optimize our marketing. If you create an online account at our Website(s) or App(s), we will collect your personal data on a secure server. You are asked to fill in your name, e-mail, billing and shipment address and password, to allow you to place orders for our products. We store your billing and shipment address so that you do not have to fill in this information for any subsequent purchases. If you have placed items in your shopping cart while using an online account but have not checked out these items, we may, send you an abandoned cart e-mail informing you that the items are still for sale. For this purpose, we collect data about which items are placed in your cart. The data and feedback we collect about the use of our Website(s) and App(s) help us to develop and improve the Website(s), App(s) and related services. We collect data on your online and offline purchase history and behavior on our Website(s) and App(s), CRM, media and e-mail data in a Data Management Platform (Salesforce DMP). We may also store data received from other parties (including data vendors and social media) in our DMP. We use the data to analyze the data collected, to target a specific audience, to match your data with customers that have a similar profile, to link devices that you use and to show you targeted ads and offers and to customize your online experience. If you book a styling session, we will collect your name, e-mail address and telephone number (and optionally your size and collection preferences) to set up a personal appointment in one of our stores. If you decide to write a review, you can do this under your own name or anonymously. We reserve the right to not publish or to remove reviews. If you contact our customer service, we will collect your name and e-mail address (and any additional data you may provide us with) to be able to respond to your questions or comments or to provide better service. We will inform you on new products, specials and other promotional activities by sending you our newsletter. If you no longer want to receive this newsletter, you can unsubscribe by use of the relevant opt-out button in the newsletter or send an e-mail to consumercare@scotch-soda.com. If you apply for a job at Scotch & Soda at the Website(s) or the App(s), we will collect your name, e-mail address, phone number, CV/resume, photo and cover letter. If you choose to receive a digital receipt when buying in any of our brick and mortar stores, we may collect your e-mail address and an overview of the items you bought. We only collect and further process your personal data for the purposes mentioned in the previous paragraph. We will ask your consent before using your personal data for purposes other than those listed above, unless the further use of your data is compatible with the purpose for which the personal data were initially collected. We will inform you of, and, if necessary ask your consent for, any changes in the use of your personal data. We may use your data for decisions based on automated decision-making, including profiling. For instance, we may use previous purchase data and or browsing data to suggest matching products to those previous purchases. By having your consent, we are able to do that both in advertising and on our Website(s) or the App(s). Simplybook.it - to help us set up an appointment with you when you book a styling session. Google Analytics - to collect and display detailed statistics from our Website(s). The purpose of this service is to give us a clear overview of visitor flows, traffic sources and pageviews. Based on this information we can improve our Website(s) and improve your shopping experience on our Website(s) and App(s). Minubo – to deliver us comprehensive reporting & analytics capabilities that enable us to gain a quick overview of business performance as well as to receive alerts with respect to the overall performance of our Website(s). With this information your personal experience and customer communication in general can be optimized. We reserve the right to disclose your personal data to official authorities or third parties to the extent we reasonably believe that disclosure is required by law, or to protect your or others’ rights, property or safety. Please note that the use of any feature made available to you on our Websites such as Facebook Connect, or the like feature (also connected to Facebook), may result in your personal data being collected or shared by us or by others. We cannot control how your data is collected, stored, used or shared by third-party sites or to whom it is disclosed. Please review the privacy policies and settings of your social networking sites to make sure you understand and agree with the data being shared. If you do not want us to share your personal data with a social media site or application, you should not access such social media site or social media application. For example, you should not click a "like" button on a product detail page. We may also share your personal data with applicable third parties in the event of a reorganisation, merger, sale, assignment or other disposition of all or a portion of our business, assets or shares. We will ask your consent before we send you a newsletter if you are not yet our customer. You have the right to revoke your consent at all times. When you revoke your consent, we will stop processing your personal data. When you place an order, you enter into a purchase agreement with us. In order to process and deliver your order, we need certain personal data, such as your name, e-mail, billing and shipment address. We may process your personal data for the purposes of our legitimate interests, except where such interests are overridden by your interests or fundamental rights and freedoms. In addition, you have the right to object to this way of processing your personal data. If you would like to exercise this right, please contact us at consumercare@scotch-soda.com. Please note that if you exercise such right accordingly, this may limit us to process your data for your benefit as set out above. We appreciate the trust you place in us. Scotch & Soda is committed to protecting your personal data. We have implemented reasonable security measures, including Secure Socket Layer (SSL) encryption technology and other tools to protect all your personal data we may collect through our Website(s) or App(s). We use a variety of measures to ensure that your personal data is protected from unauthorized access, improper use or disclosure, unauthorized modification or alteration, unlawful destruction or accidental loss. However, the internet is an open system and Scotch & Soda cannot guarantee that the personal data you submit will not be intercepted by others. All our employees who have access to or are involved in the processing of personal data are bound by contractual confidentiality obligations and will respect the confidentiality of any such personal data. Our Website(s) and App(s) may include links to website(s) operated by third parties. Such third parties may collect personal data from visitors to their website(s). 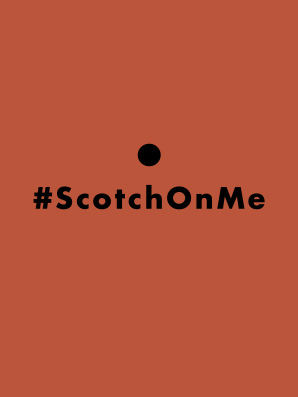 Scotch & Soda cannot guarantee the content or privacy practices of any such third party website(s) and does not accept responsibility for such website(s). We recommend you to read the privacy policies of third party website(s). When you place an order for our products, we retain that information for a minimum period of six years following the end of the financial year in which you placed your order, in accordance with our legal obligation to keep records for tax purposes. When you make an enquiry or contact us by email or via our contact form, we will retain your information for as long as it takes to respond to and resolve your enquiry, and for 24 months thereafter, after which point we will delete your information. We retain the information you used to sign up for our newsletter for as long as you remain subscribed (i.e. you do not unsubscribe) or if we decide to cancel our newsletter service, whichever occurs first. Your data is processed within the European Union. In addition, we share a database with our Scotch & Soda affiliates in the United States. When personal data is shared with our US affiliates, we make sure that appropriate safeguards are in place to protect your data. More specifically, we will adhere to the standard contractual clauses of the EC or to the EU-US Privacy Shield Frameworks. To successfully opt out, you must have cookies enabled in your web browser. Please note that if you choose to opt out, you may continue to see ads on our Website(s) and receive communications from us, but such ads and communications will not be based on how you browse and shop. As described above, you can also prevent automatic collection of some data by disabling cookies on your web browser. As set out above, we use a Data Management Platform that enables us to store your data and to complete this data with data received from third parties. When you log in to our Website(s) or App(s) we can connect this data to your customer ID. The sources that we collect data from change regularly. If you would like to know which sources we currently use, you can reach out to us on the address indicated under paragraph 1. The result of the use of a DMP is that we show you specific (targeted) advertisements on our Website(s) or App(s) or on third party websites or platforms, such as Facebook, Instagram or Google. The DMP also allows us to send you targeted e-mail and to personalize our Website(s) or App(s) to your interests. We do not sell the data collected in the DMP to third parties. Salesforce only processes the data in the DMP on our behalf. We have concluded a data processing agreement with Salesforce, based on which they only process the data in data centers established in the EU. If you would like to be removed from the DMP, you can send a request to the address indicated under paragraph 1. If you would like to opt-out from targeting via the Salesforce DMP technology platform, visit this website to enable the browser opt-out. If you would like to know more or would like to invoke your rights, please contact us at consumercare@scotch-soda.com. If we have collected personal data from you on the basis of our legitimate interests, you can at all times object to the processing of your personal data by contacting us at consumercare@scotch-soda.com. We will in that case stop the processing, unless we have compelling legal grounds for the processing which override your interest to stop the processing. Contact us, so that we can try to resolve the issue together. You will find our contact details below. Lodge a complaint with the Dutch supervisory authority (Autoriteit Persoonsgegevens) at www.autoriteitpersoonsgegevens.nl. Ask the Dutch supervisory authority to mediate to resolve the issue. Our Privacy Statement may change from time to time to reflect changes to our services or changes in the Applicable privacy laws. We will not reduce your rights under this Privacy Statement without your explicit consent. We will post any changes to our Privacy Statement on this page. We will notify you personally, for example through an email notification, of significant changes to our Privacy Statement. Persons below the age of 18 may only provide personal data to Scotch & Soda if they have written consent from one of their parents or legal guardians who has read this privacy statement. Scotch & Soda E-commerce B.V. is responsible for the processing of your personal data and acts as the controller. If you have any questions, feedback or want to know more about how your personal data is processed, or if you want to access, correct or remove your personal data, please contact us at consumercare@scotch-soda.com. You may write to us at: Scotch & Soda E-commerce B.V., Parellaan 76, 2132 WS, Hoofddorp, the Netherlands (department web store).